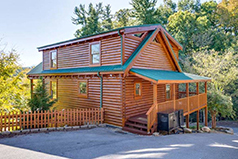 Whether you are looking for a romantic honeymoon cabin, a family vacation cabin, or a big cabin for a group, our Wears Valley cabins are as luxurious as they are affordable. Great mountain views, warm, wooden interiors, and convenient access to the best area attractions are yours. 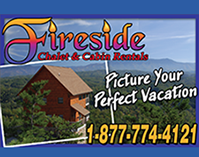 Fireside Chalets LLC - Enjoy spectacular mountain views from your Wears Valley cabin! Our chalets and cabins offer lots of amenities for your vacation getaway. Pool tables, game rooms, porches with swings, Hot Tubs, Jacuzzis, fireplaces for those cool evenings, and lots more. 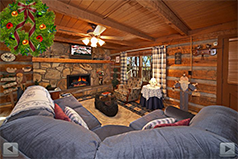 You will be tucked away deep in the Smoky Mountains yet close to all the fun in nearby Pigeon Forge. There is also lots of outdoor adventure awaiting you. 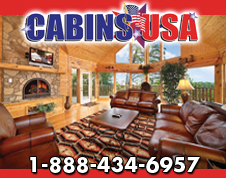 We have cabins for everyone--honeymooners, families, or groups. Cabins are fully furnished. All linens are included. Firewood is furnished. All you need to bring is food. © 2003-2019 by Image Builders. All rights reserved.